When we travel to Singapore, we definitely never miss Chinatown! Besides looking for Bakkwa, there's a lotttt more delicious ( and legendary ) Singaporean delicacies around this area. One of them are the one on Maxwell Food Centre that I've write before. 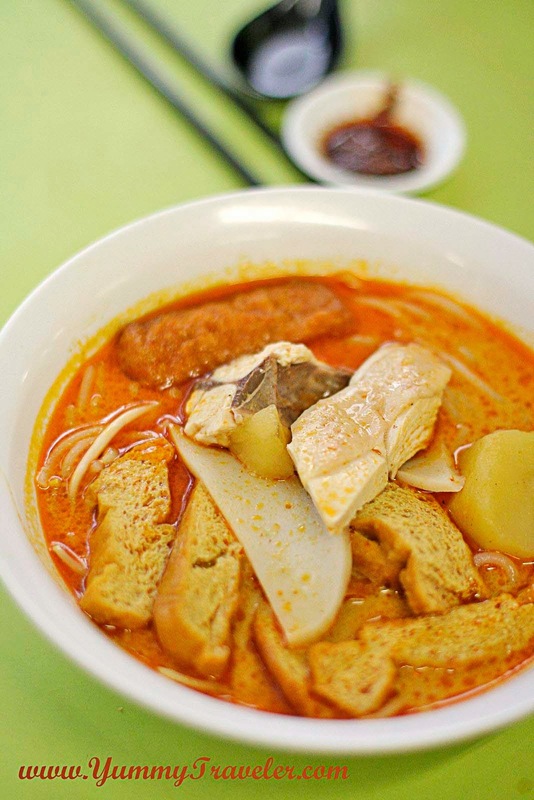 Because eating at Maxwell or Chinatown Complex are too mainstream, why not try this one? Hong Lim Market and Food Centre. Thanks to instagramers +Daniel Ang ,from his blog I found one of the best food from this food centre! 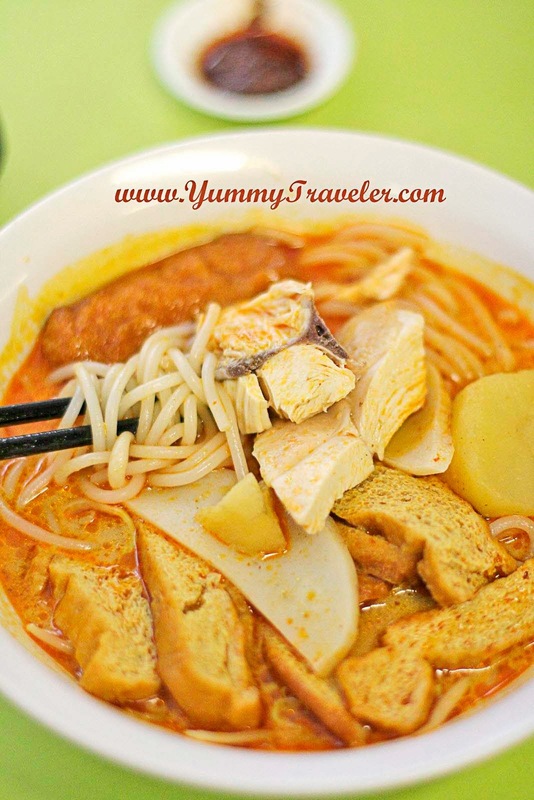 I always love any food with soup, so I opted Ah Heng Curry Chicken Bee Hoon Mee among others! And my choice was right! You can opted for $3.50, $4.50 or $5.50 portion. The queue was always long, so for tourist like me, it's better to go before lunch time. 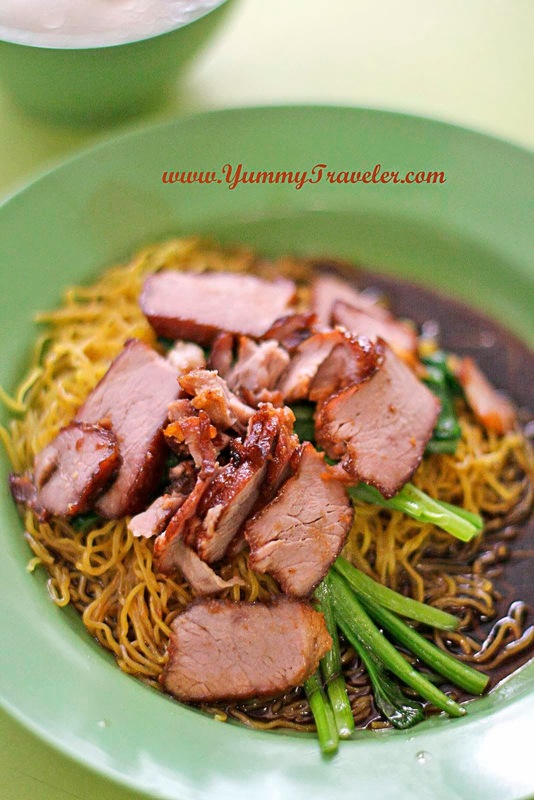 They use Bee Hoon Mee, which is a vermicelli but more thicker like a noodle. The broth, oh my...... it's quite heavy with coconut milk in it. But they had this smokey taste that I really-really love. It's quite spicy and savory as well, yes.... I finished the broth! 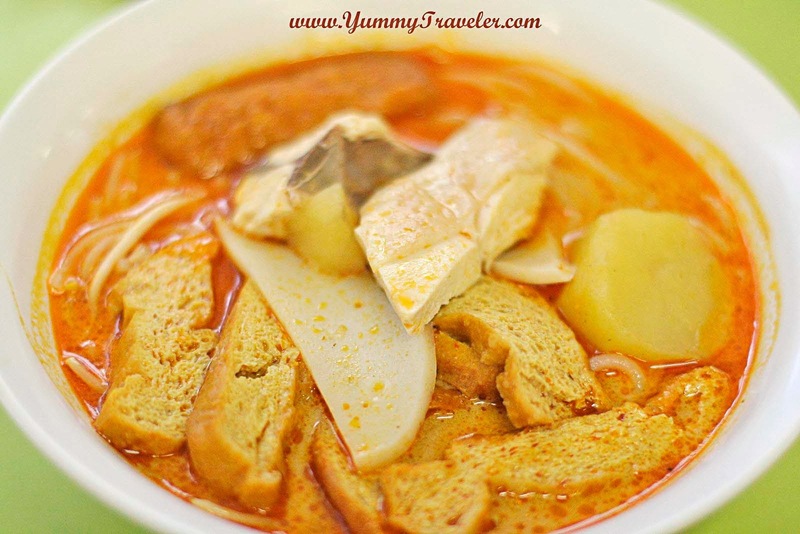 :p They also put some boiled potatoes, fried tofu, fish cake, and boiled chicken. Oh I had to mention that their chicken was also amazing. Very juicyyyy ! Yum! A friend of mine had this pork noodle but I forgot from what stall ( sorry ). But it turns out quite good too.